If you’ve ever been to a casino, you’ve usually always seen at least two Roulette games going – an American Roulette game, and a European Roulette game. There is a difference in both these games and it’s not just in the name. The difference isn’t that at the American table you’re eating cheeseburgers and at the European table you’re eating baguettes either! The difference is in the wheels. It’s not just American Roulette vs European Roulette anymore however – there are a wide variety of different Roulette games out there now, and some of them have made more changes to the wheel. Of course that is all online for the most part – but I’m going to cover all of that for you in detail in this article, breaking down each Roulette wheel for you and the differences. The basic Roulette Wheel will have the numbers 1 through 36. Half of the numbers are coloured black, while the other have are coloured red. There is no correlation between the numbers, and the colours. That’s why there are two different bets – you can bet on red or black, odd or even. For example 15 is black but 4 is also black. The roulette wheel is circular, and all of the slots are grooved. A tiny little ball is thrown in as the wheel spins, and where it lands determines the payouts of the bets. The American Roulette Wheels unique features is that it has both a 0 and a 00, which means there are 38 different spots that the ball can land in. The odds are the same as European Roulette in terms of payout, however 0 or 00 means the house wins and everyone elses. Due to that, the actual odds of you winning are worse and where possible, you should choose to play European Roulette. The European Roulette Wheel has just the one additional slot – the 0. That means it has 37 total slots for the ball to land in. 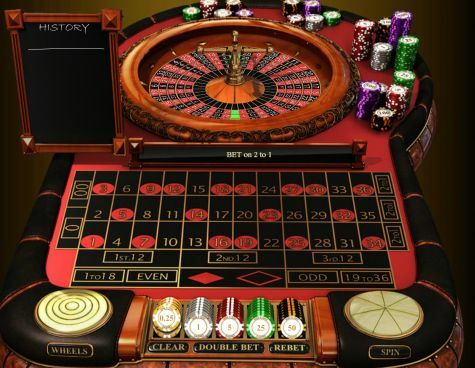 One difference you may see at a casino due to how more popular European Roulette is due to the odds – the European Roulette Wheel will actually be placed in the MIDDLE of the table, with two betting layouts either side. In American Roulette, the wheel is usually at one side of the table with one set betting layout beside it. This is due to the popularity – more people will usually bet European Roulette. This varies strongly from casino to casino however, and obviously does not affect online roulette. The French Roulette Wheel, like European Roulette, offers the single slot for 0, as opposed to double 0. The roulette wheel itself, is otherwise exactly like European Roulette. How the game differs is due to a few different rules or bets, such as the Neighbours of Zero, the Zero Game, and the La Partage Rule. 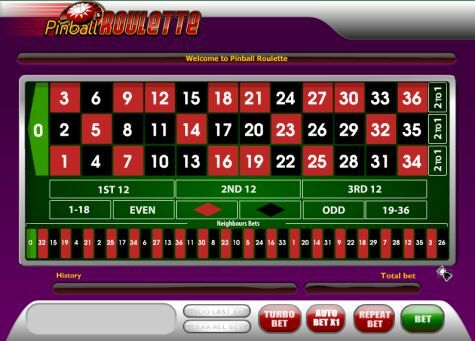 For more information about that, please read our French Roulette for Dummies article which goes in-depth on French Roulette. This is at online casinos. Along with a 0 and a 00 on the wheel, there is an additional yellow slot. This slot is also 1.5 times bigger than all other slots, which increases the chances of it landing in the yellow/bonus slot. If you land on that, then you are awarded 2 free bonus spins with the chances of massive payouts. You need to place a separate bet on the ball landing on the yellow, or bonus slot, to win. Your potential payout is over 1200x your original bet. For all the details, read my Double Bonus Spin Roulette article. Exactly like the above game, except in this one you get three potential spins. The payout you can get is 12,000x your original bet. Obviously the odds of it happening are higher, but the payout is worth it. For all the details on that game and where to play Triple Bonus Spin Roulette, click here. This is a very interesting concept as it’s not actually a Roulette wheel. Instead it’s like a pinball table, complete with bumpers, where the ball bounces around until it finally lands on a number. And you can read more details on it here. This is a new trend at online casinos, and there are a few different variations. In some – there is actually multiple roulette wheels, so it’s essentially spinning multiple different wheels at once. As you can see it’s one “Wheel” containing 5 separate wheels. It’s pretty darn cool I must say. That one is available at WinADay Casino in both European Roulette format(La Roulette), and American Roulette format(Roulette 5).